Finnish fine art photographer Joni Niemel� loves capturing and sharing little details in nature that often get unnoticed. 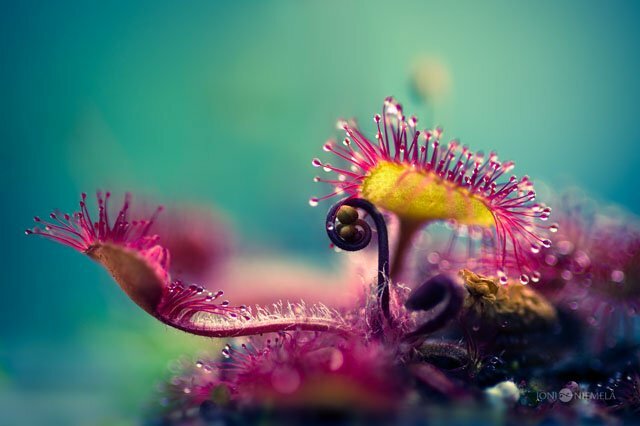 One of his recent subjects has been the Drosera, also known as sundews, which are among the largest of all carnivorous plants. The plants are covered with drops of dew-like liquid that are used to lure, capture, and digest insects that happen to wander by, and Niemel� decided to make these beautiful structures the subject of two recent projects, titled Otherworldly Blues and Drosera. You can find more of Niemel�s photography on his website, Facebook, Instagram, and Twitter.